Tiphereth is a Camphill Community founded in 1993, situated at the foot of the Pentland Hills in Edinburgh. We are a charity delivering an outstanding care and support service based on equality and celebrating the unique potential of each individual. We have cultural and spiritual roots inspired by the works of Karl Koenig and Rudolf Steiner. Tiphereth provides quality professional Residential, Day Services and Social Enterprises for people with learning disabilities, autism and other support needs. Our community is underpinned by Social Pedagogy, creating a culture of living and working together in safe and supportive relationships. Do you remember the excitement and adventure of moving into your own house for the first time? Do you have what it takes to make a difference in someone’s life? Maybe you are already working in social care and want to join an organisation with relationships and community at its heart. This is a great opportunity to be part of a new team supporting this man, where every member will become a specialist in him! We are looking for inspiring, enthusiastic and experienced support workers to join a new team at Tiphereth providing focused person centred support to one of our members. The young man likes to be active and enjoys many activities both in and away from his new home. • Develop a relationship with the young man. • Support him in his own home and within his community. • Help him to build on his independence and confidence in his new environment. • Help overcome challenges of moving into a new home. • Utilise your experience of working with young people with autism and behaviours that may challenge. We have several permanent posts working a variety of shift patterns per week. These contracts require full flexibility, the majority being from 4.45pm to 10.00pm during Monday to Fridays, and throughout the day at weekends (not every weekend) .Sleepovers are not a requirement of this role. Tiphereth Supported Living Service are looking for a motivated and experienced support worker to join our team. The successful candidate will have extensive practice experience in working with people who have Autism. As well as a proven track record in developing and implementing positive behaviour support strategies. The post will require the successful candidate to develop and lead a small team of co-workers in providing consistent, robust and committed support to a member of our community through demonstrating best practice. This is a great opportunity to be part of a new team supporting this man, where every member will become a specialist in him! • Able to do shift work including weekends, evenings and some bank holidays. These contracts require full flexibility, the majority being from 4.00pm to 10.00pm during Monday to Fridays, and throughout the day at weekends (not every weekend) .Sleepovers are not a requirement of this role. 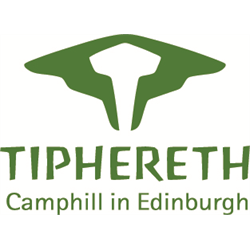 Tiphereth is a Camphill community in Edinburgh based around supported accommodation, social enterprises and day services for adults with learning disabilities and other support needs. We have three vacancies in our day service for Co-Workers supporting adults with learning disabilities and autism to improve wellbeing, confidence and skills through meaningful work and activity. Based in our Pentland Group. You would be working as part of a team supporting adults with learning disabilities in meaningful work that produces woodwork, green woodwork and outdoor estates work. Experience of supporting behaviour that may present challenges is essential for this post. Based in our Garden Group. You would working as part of a team of 6 supporting adults with learning disabilities in gardening activities, as well as supporting our social enterprise through the green waste collection and firewood and compost deliveries to customers. A full clean driving licence and willingness to drive our tipper truck is essential for this post. Based in our arts and crafts group, The May. You would be working as part of a team supporting adults with learning disabilities to participate in craft activities including weaving, felting, papercrafts. Experience of supporting behaviour that may present challenges including an understanding of autism and including one-to-one support is essential. The ability to attend some Thursday afternoon team meetings is also required. This post is for a male co-worker because of some care and support needs. Whilst we look for people who bring knowledge and experience of the work activity, it is possible for the right staff to learn this in the role. What is most important is the capacity to support people, being motivated by Camphill values and demonstrating a willingness to learn. Opportunity to belong to a Camphill community which has residential houses, supported living, and social enterprises alongside a growing day service. We are seeking a number of confident and supportive individuals who value the concept of social equality and have a willingness to support people with learning disability and autism to maximise their potential and life opportunities. We have this year developed a new supported living project within our Community. You will be joining an innovative and creative environment to support the residents of our supported living houses. You will work as part of a team to support each individual to make a home in the community, develop new skills to manage their own tenancy as much as possible. Furthermore supporting people to access a range social and cultural experiences and meaningful work to enhance their life experience and holistic wellbeing. The hours of work are variable depending on the individual needs of our members, but will involve evening and weekend work. In return you can expect a competitive salary starting at £18,086 per annum (subject to increase in line with Scottish Living wage from 1st April) and a generous 36 days paid leave, as well a fixed 4 week rolling rota). Tiphereth, Camphill in Edinburgh, is a unique charity in the Colinton area of Edinburgh. We are a community consisting of residential care, social enterprises and a growing day service. All post holders will be required to join the PVG scheme and register with the SSSC within the first six months of employment. Ideally candidates will have previous work experience in a similar setting and hold a professional qualification at SCQF level 6. You would be working in our new Print Studio supporting adults with learning disabilities and autism to use screen printing as a means to engage in creative craft work. The work requires supporting people one-to-one and in small groups. Experience of screen printing and photoshop is required. Tiphereth has a fantastic opportunity for two new Team Leaders within our Supported Living project. The project started at the end of 2018 and following a settling in period, it has established itself within our community and has opened up the opportunity for two permanent Team Leaders. Tiphereth is part of the Camphill movement based at edge of the Pentland hills in the south-west of Edinburgh. We comprise of traditional Camphill residential houses, forming the core of our community and Day Services which extend beyond our residential members to many adults with learning disabilities and autism. In 2018 we extended our living opportunities to ten people using a Supported Living model, offering shared and individual living spaces within our community setting . Everything we do is shaped by our core values of equality, living and working together and belief in the unique potential of each individual. The Team Leaders will work together to support the Supported Living Manager in leading the service and will be responsible for the day to day running of the service. The post holders will effectively communicate and liaise with members, families, co-workers, the management team, community members and other professionals. Team Leaders are expected to lead by example, providing excellent support to our members. Each team leader will be responsible for supporting the Camphill way of life, but within a supported living setting. The management team support the staff team to work with our members, to ensure they lead as independent lives as possible, guided by person-centred and social pedagogical practices. The Team Leaders must be registered with the SSSC, having sound knowledge of regulatory requirements and an ability to ensure best practices are met within the team. You would be working in our Pentland group supporting adults with learning disabilities and autism to develop practical and social skills through engaging in woodwork including green woodwork. The work requires supporting people one-to-one and in small groups. The role would suit an enthusiastic, motivated person who can work in a person-centred way with individuals needing support.